Filled with pastel-coloured sugar almonds, vibrant rock sweets or elegant chocolate squares, these bags make an adorable parting gift for your wedding guests. 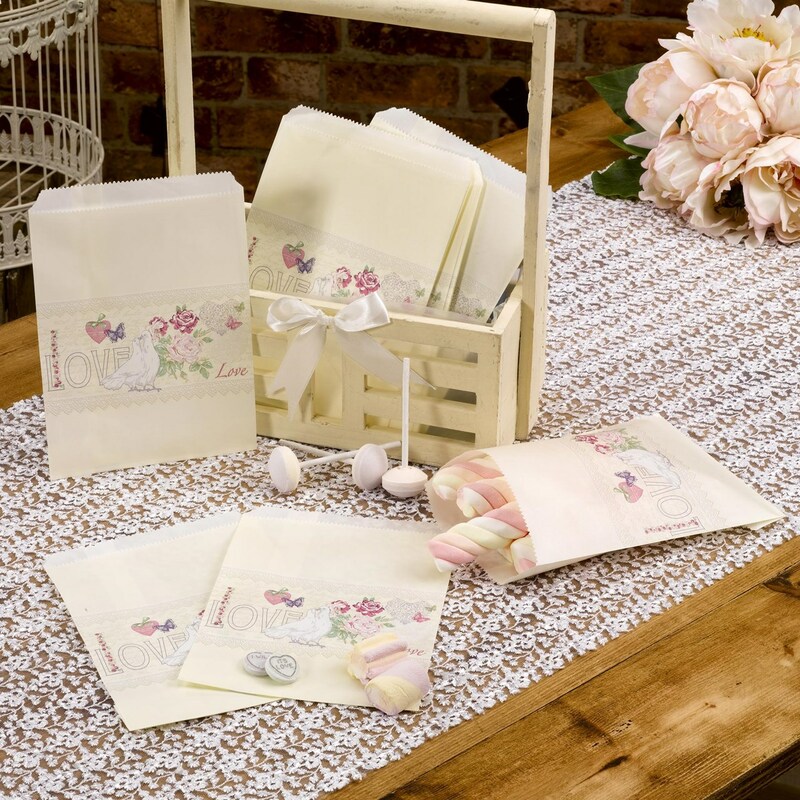 Featuring a design reminiscent of old love letters, these lovely bags feature a montage of classic wedding motifs against a sophisticated ivory background. With plenty of space for treats and perhaps a handwritten note, these sweetie bags make a great alternative to more traditional wedding favours. Can be co-ordinated withother pieces from the "With Love" range.